Eagle One NanoWax is a car waxing product that claims to be one of the best high-gloss car wax product in the market. 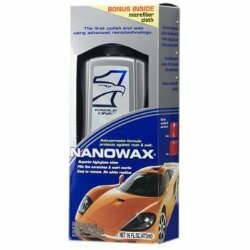 Using Nano technology, Eagle One NanoWax claims it product will fill scratches and conceal marks making the surface of the car look smoother and shinier. With your help we can reach more people and let them know about Eagle One NanoWax whether this product works or not.